Welcome to another edition of Growth Bites. 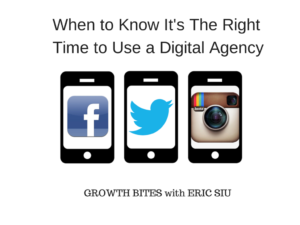 Today we’re talking about when is it the right time to use a digital marketing agency instead of an in-house team. Let me start by saying this isn’t a cut and dry answer. It really works on a case by case basis, but I’m going to discuss my experience and rules I’ve set. Nothing can be too rigid when considering an in-house or outside agency, and things can always change. [00:55] During my time at Single Grain, we’ve worked with startups who graduated to working with an in-house team. [1:07] In the beginning, we worked with them to hit the product development phase and hit the growth phase. [1:25] Usually their marketing team was smaller than 10 people with significantly thin resources. [1:45] People who reached out to us were often solo teams or had a random designer and were doing the majority of work themselves. 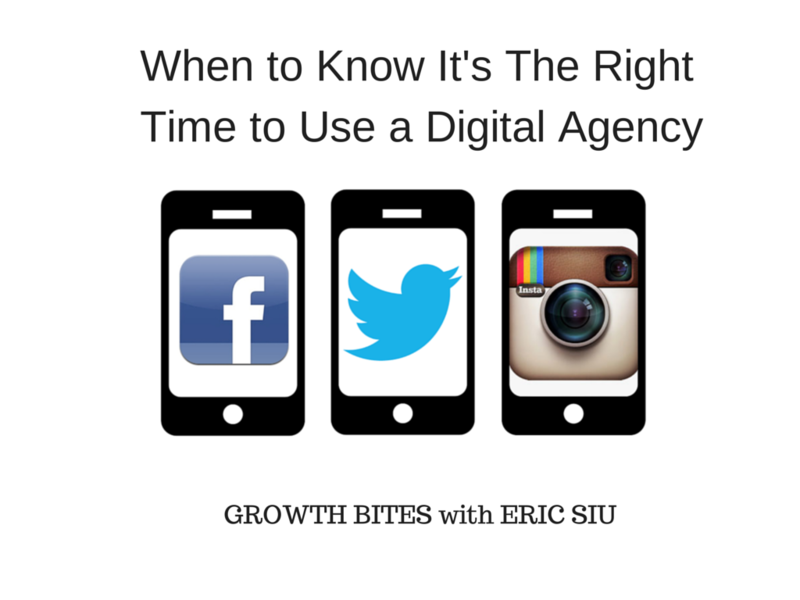 This is a smart time to use an agency to get your company up and running. [2:36] I’ll be honest, that for the most value for your money, build an in-house team. [2:57] However, if you’re doing something interesting, an in house team is going to be motivated and really understand your product like an in-house team wouldn’t. [3:18] An outside agency focuses on a multitude of clients and often spread themselves too thin. You end up paying the price. [3:39] If you’re starting out, go with an agency after looking over your budget. Once you’ve set-up an in-house time, you can still come to an agency like us for paid advertising services. [4:11] People start with Single Grain in the early stages and graduate to in-house. But as they get bigger and bigger, need specialization of an agency again ike YouTube advertising or conversion rate optimization. [5:16] There’s no easy way to answer, but an ideal situation is having an in-house team but with some outside help for specialized and highly creative help.